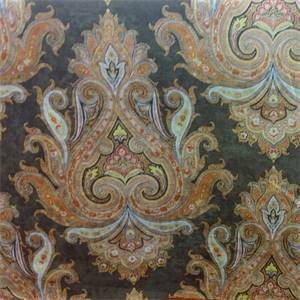 Ayrshire Chocolate is a luxurious-looking printed velvet with a paisley damask design in dark brown, red and gold. This fabric would be a perfect choice for any light-weight upholstery project including headboards, ottomans, formal dining chairs and much more. You could also use this fabric as pillow or cushion fabric.